Being only four days old, a little baby girl has a big life ahead of her in India. 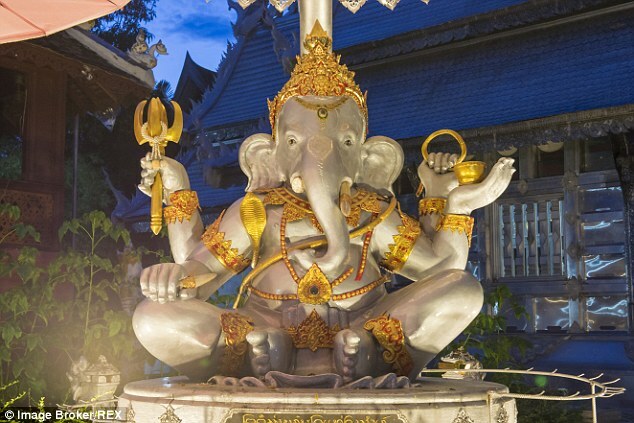 Born with a “trunk”, the locals have began worshipping her as the reincarnation of the Hindu god, Ganesha. The “trunk” on this little girl is actually a deformity most commonly found in the Asian countries such as India. The locals have began calling the baby girl, ‘Lord Ganpatni’ meaning ‘Ganesha’s wife’. She has three healthy older siblings and lives in a small house in the northern Indian village. Doctors said the girl’s protrusion was most likely due to a gene mutation, caused by malnutrition and pollution. What do you guys think about this little girl? Should she have surgery to fix her “trunk”? Let us know in the comments.